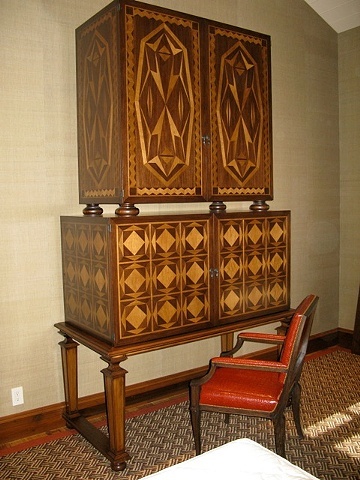 Armoire is made out of Walnut and Maple solids and veneers. Upper section has two doors with shelves behind. Lower section has two doors that open and fold flat to the sides of the cabinet. Entire cabinet rests on tapered legs with lower stretcher. Finish is a stain with satin lacquer.